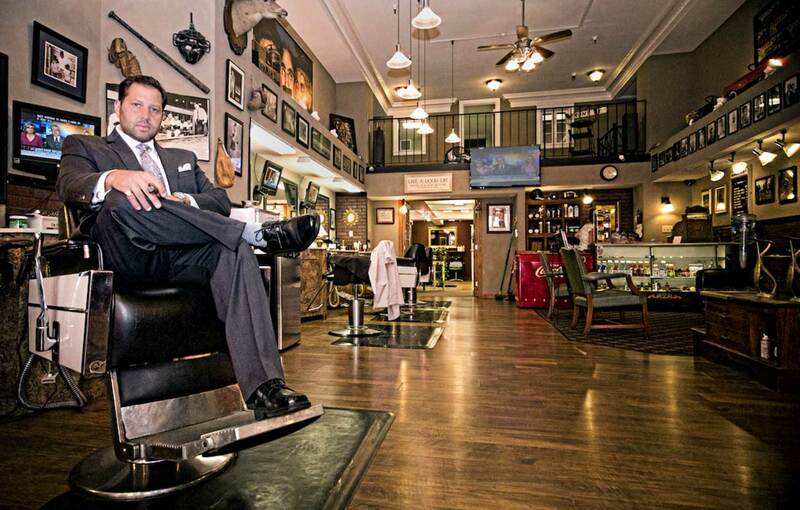 In 2003, owner Christopher M. Rosa had a vision of opening a classic men's barber shop. Our flagship shop in downtown Hartford has been around since 1927, which makes us the oldest, still operating, barber shop in Hartford. Our staff consists of 5 barbers, 2 hairdressers, and a shoeshine man. Celebrity visits include: Bare Naked Ladies, Lead Singer Felix Cavaliere of the Little Rascals, Actors Hal Holbrook, Gerald McRaney (Simon and Simon), and Joe Pantoliano (The Sopranos), Athletes Mike Golic and Shaun Salisbury, Governor John Rowland, Senators Joe Lieberman, Chris Dodd, Congressman John Larson and many more. By the mid-1800s Pratt Street was a fashionable residential address, home to many of the city’s wealthy merchants and bankers. During Mark Twin’s era, it was known as “Hartford’s Fifth Avenue.” With help from Aetna Insurance, in 1989 architect Smith Edwards of Hartford designed an authentic streetscape of granite, brick and ornamental lighting. This retro look was renovated and further improved in 2016. Now listed on the National Register of Historic Places, Pratt Street is one of the classic streets in Hartford. A perfect home for Hartford’s best barbershop. In 2003, owner Christopher M. Rosa had a vision of opening a classic men's barber shop. Our flagship shop in downtown Hartford has been around since 1927, which makes us the oldest, still operating, barber shop in Hartford. Our staff consists of 5 barbers, 2 hairdressers, and a shoeshine man. Celebrity visits include: Bare Naked Ladies, Lead Singer Felix Cavaliere of the Little Rascals, Actors Hal Holbrook, Gerald McRaney (Simon and Simon), and Joe Pantoliano (The Sopranos), Athletes Mike Golic and Shaun Salisbury, Governor John Rowland, Senators Joe Lieberman, Chris Dodd, Congressman John Larson and many more.